I just wonderded what the average "grabbyness" others experience? I always find when cold and turning onto the road from my gravel drive, there is some slip at the back end (on gravel). Almost like the VC is a bit tight / cold? What do others experience? The VC transmits more torque at lower temperatures (below 20*C), but this rapidly falls as the diff warms up, before the VC starts transmitting more torque again as gets into its operating temperature "window"
Brilliant, thank you. Though that graph has a weird start at 20°C? What happens below I wonder? 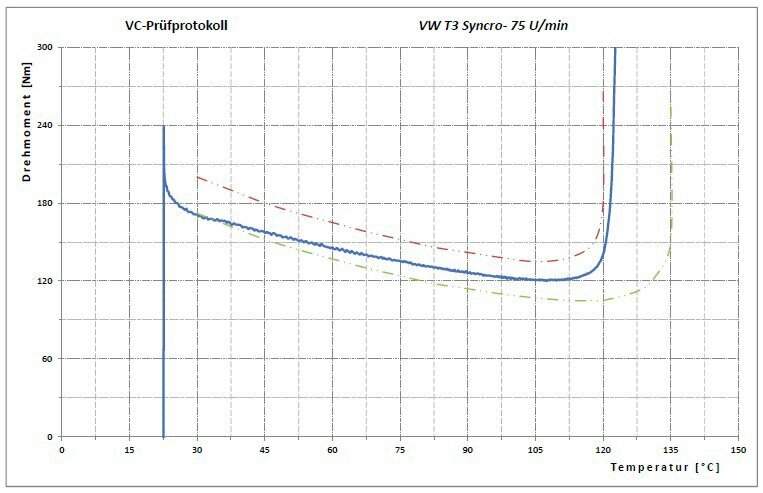 I would say from the graph that at freezing temps the VC is effectively locked and capable of transmitting around 240Nm and this figure will climb as the ambient temp drops. Driving the first mile or two on tarmac will show it to be be very scrabbly in a tight turn but the front diff will soon warm up and the VC will "soften"
It is possible to use a lighter viscosity fluid to reduce this tendency, they were known as "kunden-visco" at VW, translates roughly as customer [request] VC's. I have only ever done one like this as an experiment, it was very pleasant to drive on tarmac. On your post, you say that you are getting slip from the back end on gravel. Do you mean that the back wheels are binding into the gravel? or are you spinning up the rear wheels without getting traction from your front wheels? Might be an idea to check if the diff lock is seized on, because i cant se any other reason for a rear wheel digging into the gravel on turning? Even with a tight VC the rear diff will still allow the rear wheels to comfortably turn at different speeds Unless it is locked or seized in the engaged position. I'm confident all is normal. I did a VC test two years ago, it was functioning as expected. Subsequently found out from a previous owner that the VC was replaced about 8k miles ago, so not too worried. Judging by the responses here, it's just a cold weather thing.